We keep seeing the idea pop up now and then. After every so often, I think when people have nothing else to talk about, they remember those brilliant Pacific Island rugby players and all of a sudden they revive the idea of a Super rugby team for the Pacific. That’s why one can easily be forgiven for yawning every time the idea pops up. Besides, after all these years of talking about it with nothing concrete happening as a result, it sure sounds like a scratched record. The latest comes after a “secret plan” about the creation of a combined team, called the Pacific Force was revealed. The New Zealand Government is apparently interested and has already spent some of its money to fund a study to make it happen. Interesting, isn’t it? 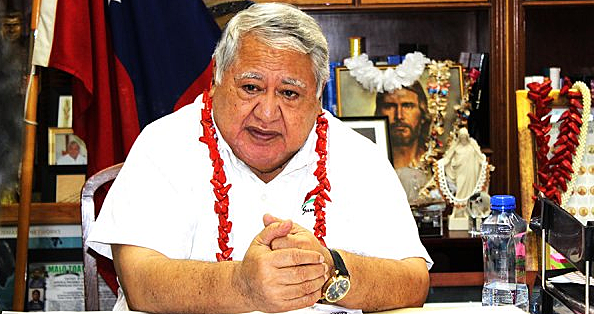 And why would New Zealand want this to happen after all these years where they have done their best to push players who are eligible to play for the Manu Samoa – and other Pacific countries - outside of their competitions? Now here is the thing. From the beginning, this column has maintained that the concept is undoubtedly worth exploring. The idea of Pacific players combining forces and succeeding at that too is a scary prospect for the rugby world because when it is done right, such a team has the potential to beat anyone on any given day. We know what our players can do when their heads are in the right space. Which is probably why the idea has never really materialised. Perhaps the powers that be, and the guys pulling all the purse strings, realise that if such a concept works out, a Pacific combined super rugby team would be unstoppable. The facts are the Pacific countries have the raw talent and the potential for development is huge. But the logistical nightmares that have been there for years remain unresolved with virtually no solutions in sight. We’re talking about questions of funding, player eligibility, venues, governance and a lot more. Then there is the issue of whether players from Fiji, Samoa and Tonga can be and remain united given their different ethnicities. One of the facts that all these proponents of a Pacific team forget is that Samoa, Tonga and Fiji are different countries with different cultures. They operate on different wave lengths. They might all come from the Pacific but they are not the same. They speak different languages, eat different food and have different interests. Calling the islanders is insulting because they have their own independent flags with names. You see these issues have been there and are very much still there and because no one has the answers to them, all this talk makes wonderful headlines but we can bet that nothing else substantial will come from it until somebody puts their money where their mouth is. Of course rugby is more than just money. Unfortunately in this day and age of professionalism, you can talk all you want but without the necessary dollars, it sounds hollow and as flat as an empty gallon drum. That said, we acknowledge with gratitude the officials – including our media colleagues all over the world – who continue to raise and advocate for the issue. We thank you. It’s definitely something worth fighting for because like you, we believe the missing piece of Super Rugby is here in the Pacific. We are talking about a team that is dynamic, diverse, entertaining, intelligent and can draw crowds with the flair they bring. Believe me, the potential is here and we know it. But forgive us for being somewhat pessimistic. You see when the Pacific continues to be ignored, insulted, lied to while at the same time used as poaching grounds for the elites and the super powers, you tend to get a little cranky. And that’s what’s happening for many of us. Our poor ears are sore from all these noises. You see, every time the issue is raised, our hopes and aspirations are heightened. But as old as Super Rugby is, from the days when it was the humble Super 10 to what it is now, we have been disappointed and let down time and time again. We have heard promises, we are aware of the countless meetings and monies spent of these meetings that amount to absolutely nothing. Zilch. That’s right we are talking about more than 20 years of hogwash talk. Which is precisely what has happened again with the latest talks about a Pacific team. Let me say this. We are tired of the talks. We are also sick of the lies. And we’re not just talking about Super Rugby. The attitude of the powers towards rugby in this part of the world is absolutely questionable and the results speak for themselves. Rugby and success these days are all about money. Without money, all this will continue to be a pipe dream. Speaking of which, we accept that issues of accountability and transparency in the administration of the Pacific Island nations play a large part in holding the developments back. The fact of the matter is that Pacific Unions have not helped themselves. We only need to look at the Samoa Rugby Union to get the picture. Which is why we believe it’s time to stop this nonsense talk about a Pacific team. Unless we can clean up our backyards, it would be very difficult to try and get players from three different nations to play as one.